Growing up, there were two flavors of Cheerios to choose from: Plain and Honey Nut. As time went on, the brand began to flesh out its flavors with options like Frosted Cheerios and Multigrain Cheerios (arguably the best flavor and no I will not debate this), and even, um, Protein Cheerios (sure, why not) appearing on store shelves. But the newest variety honestly has us scratching our heads a bit. Introducing: Blueberry Cheerios. 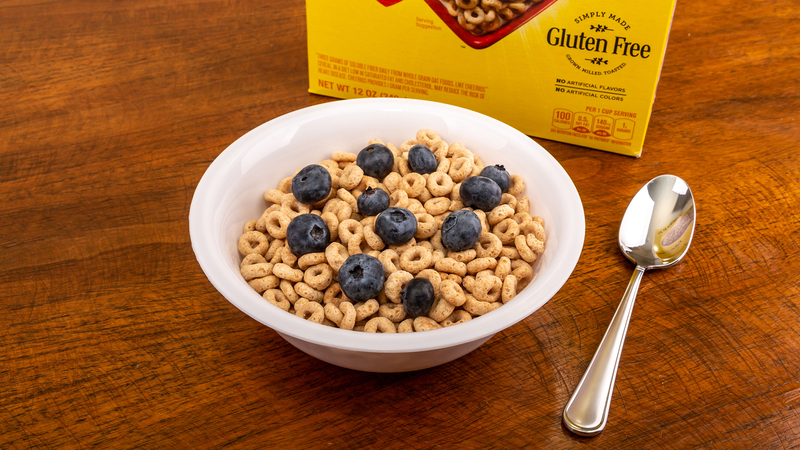 Unlike other fruity cereals that include freeze-dried or dehydrated berry chunks (think Special K), Blueberry Cheerios are flavored through and through. The purple whole grain oat loops look a little psychedelic, but it’s the blueberry flavor that we’re skeptical of. Thankfully, the color and flavor are derived from real blueberry puree, but we’re curious to know if a bowl of this stuff is actually better than a bowl of plain old Cheerios with some fresh blueberries thrown in. General Mills seems pretty convinced that its new flavor slaps; that’s why it’s been immediately added to the permanent collection of flavors. In the meantime, some of us have questions. @JCfreak316 – random question. Do you think the new blueberry Cheerios are going to be good? This isn’t the first time General Mills has experimented with blueberry. There was Blueberry French Toast Crunch, Blueberry Chex, and even a now-retired Very Berry Cheerios. What sets this recipe apart is the use of real blueberry puree to flavor and color each bite, and if you’ve ever had the taste-bud-shriveling misfortune of consuming artificial blueberry flavoring, you know that this change up is definitely a good thing. But the only way to be sure if this new cereal is deserving of the hype? Try a bowl. You can pick up boxes of the new Blueberry Cheerios for $3.99, and the flavor is supposed to start rolling out to grocery stores nationwide this week. In the meantime, we’re going to stick with plain cereal and fresh berries.